i. Took bats with use of darkness, and managed to return without attracting too much attention. i. Filled him in, and he fainted. Removed magical ruffle. iv. Met his personal bodyguard, Markinen. i. Waited outside as guards went in and encountered Scarecrow. iii. Valemorn levitated with Camla to top. iv. Gragdar climbed stairs and triggered bells falling. Barely survived, but many on ground perished. At the dinner party, were honored. i. Lord Mayor then asked them to look into a small matter with the Black Arrows. They are a group of rangers based out of Fort Rannick that keep the ogres and giants from the Storval Plateau in check. They have missed sending reports the past few months. The last messages from the hamlet of Turtleback Ferry indicate that they hadn’t been seen in several weeks. i. Camla requests and gets Tsuto’s body to return to Ameiko for burial. Rested in Sawmill for the evening. The following morning, they released the assumed messenger ravens found on the rooftop and followed them by riding on Vaelmorn’s giant Bats. It led the group to a rickety clocktower in the Underbridge. i. Vaelmorn and Camla leapt into the top floor through an open doorway. As they did so, a demon appeared in a cloud of smoke and lightning, accompanied by the smell of pungent sulfur. iii. The other demoic being cast off her clock of invisibility – a woman from the waist up, and a large snake below; Xanesha as she was known attacked Camla from behind, the devastating blow almost killing the man outright. iv. The group shifted their attention to her. Gragdar’s undead hosts bore the brunt of her deadly spear attacks, giving the others time to reform battle lines. v. A decisive use of the Blindness spell by Gragdar allowed them to finally close and surround Xanesha without provoking the deadly attacks of opportunity, even though she was able to remove Blindness on her next action. vi. Lots of magical summons and Xanesha was trapped; boxed in by the confines of the small tower made her unable to use her spear. The naga resorted to the use of powerful magics, with particular benefit of Scorching Ray, to the chagrin of Vaelmorn. vii. The heroes eventually succeed in killing her and find in her possession a letter from “Lucrecia”. Taking stock of their situation, they are deciding whether to explore rest of the Clocktower, or return to the Mayor. Here’s the overview of the DF layout – as it was just the top floor of a clocktower, I used just the minimul of pieces. This picture is of when Camla and Vaelmorn leaped into the open doorway from atop the flying giant bat. I ran Xanesha as written in the re-released Rise of the Runelords hardback version (Rogue 1). She is the first creature the group has fought with a base 6d12 combat dice; combined with her magical spear and her spellcasting, she was quite a formidable opponent. An illusory deman, and invisible sneak attack on Camla brought down half the group; later, two 8d6 Scorching Ray attacks on Vaelmorn brought the pain. i. Heroes meet with Mayor Haldomeer Groboras in City Hall, where they are informed that one of the Magnimarian Justices is leading the hunt for the murderers. ii. Justice Ironbriar is summoned and they meet a stern tall elf. Unbeknownest to them, he is also the leader of the cult of the Brothers behind the murders – of whom Aldern was only a puppet. i. They manage to track down which sawmill and then try to gain entry, but are turned away. Derrik detects evil in the workers. ii. They decide to scout, and fly on bats to rooftop, where they sneak in through the messenger raven coop. iii. They drop into the main floor, where they find Justice Ironbriar! He is surrounded by cultists in the midst of a ritual murder. In addition, they see Lyrie and Tsuto are part of the group! iv. Vaelmorn drops in, and puts up darkness, but finds that it is repeatedly countered by Daylight. The fight is touch and go, leading to the destruction of most of Gragdar’s undead horde, but they prevail in the end. I thought that Ironbriar would be an ideal Inquisitor – not only the NPC background of a stern Justice, but specifically the Infiltrator that defeats the pesky Paladin’s Detect Evil. And with the high-crit Elven Curveblade, and the ability to make it Keen and Bane, he was a formidable opponent. Adding on his followers, plus Tsuto and Lyrie (whom’s freedom he saw to – and who warned him about the drow’s Darkness abilities), the encounter turned out quite challenging and fun for all. Bane (+2 / 2d6) (8 rounds/day) (Su) Make the weapon you are holding a bane weapon. Swift to change type. Combat Reflexes (8 AoO/round) Can make extra attacks of opportunity/rd, and even when flat-footed. Elven Immunities +2 save bonus vs Enchantments. Elven Immunities – Sleep You are immune to magic sleep effects. – Judicious Force (2/day) (Su): +4 confirmation roll for crit if you or ally w/I 10 ft makes threat. – Chains of Justice (1/day) (Su): bind opponent w/I 60 ft w/ spectral chains (Will negates). Damage is mirrored to both. – Profane Destruction +3 (Su) Weapon Damage bonus. Misdirection (Sp): Detects as a LN elf. Second Judgement (3/day) (Su) Variable bonuses increase as the combat continues. – Judicious Force to get +4 to confirm. i. Returning to Sandpoint, they decided to keep Aldern’s death and subsequent undeath a secret. 1. Ven asked if they caught who did it. 2. Camla couldn’t hold it in and said yes, and that he was punished. Ven retired crying and thanking Camla. 3. He saw Orik in the shop with Shayliss, and Orik helped him find the bladder. iii. They filled in the Sheriff and Mayor. 1. They requested that everyone be armed and trained. Mayor said it’ll have to be run by the elders. v. They got summoned by Brodert and told more history about the Sihedron, as well as that some kids went to Chopper’s Isle and found an opening. vi. Heroes decided to go to Magnimar as soon as possible. i. Camla and Derik went to Aldern’s house disguised as Aldern and a guard. They got to the upscale Naos neighborhood, and paid for a porter to clear the way for them to the townhouse. ii. The others flew in by bat and walked in. They had trouble getting through the guards at Naos, and had to sneak in. iii. Camla and Derik arrive at the house, and bluff their way in. But are shocked at suddenly seeing Iesha in there. And then are ambused by the “servants” – all four of them turning out to be faceless stalkers! iv. Vaelmorn, Gragdar, and Sharptooth arrive in time to turn the tide of battle. v. They manage to capture one alive, and questioning him, learn that they were hired by Aldern, but knew of his transformation. They also learn that Aldern had a visit from a woman and a pale elf some 4 months previous. They find the deed to the house, and the mention again of the Brothers and the Seven’s Sawmill. Following Iesha into a very large cavern opening, they see in the distance the figure of Aldern with several undead around him. He is crouched down and sobbing over what had become of Iesha. She is cradling him as he begs her forgiveness, telling her that it was “the Hurter”, and “the Brothers” that has caused all their problems. They barely recognize the cowardly fop whom they had saved from the goblin attack on Sandpoint during the Swallowtail Festival; the same magmanious noble with whom they had gone boar hunting. True, he wore the same finery, but now the blue and gold was ripped and stained with substances beyond just dried blood. The hands covering his face were wasted and gangrenous, the nails elogated into gore-encrusted claws – and an nauseating odor to match. As he catches sight of the group however, Aldern’s demeanor suddenly changes, eyes focused on Gragdar. The man straightens and enthusiatically greets his “greatest friend – the powerful and most excellent of warriors, Gragdar!” with Iesha completely forgotten. To show off his devotion to the ork priest, he points out a table behind him – now a shrine bearing Gragdar’s missing javelins, a pair of his gloves, what appear to be tufts of hair, and his name written in dried blood. Stirring from whatever human pity she had remaining, Iesha shrieks out in rage and strikes at the remanants of her husband. At this, Aldern reaches up and pulls apart what appears to be a mask composed of strips of dried flesh – underneath which, Gragdar’s face stares back at the group! Combat ensues with the ghoul servants attacking Iesha as she rakes at Aldern and he rushes towards Gragdar. Vaelmorn casts darkness on a javelin and hurls it at Iesha, covering her and the 3 ghouls attacking her. As they fought, Derrik sees a strangely humanoid shape on a wall of fungus near the table; he realizes that it somehow is his own shadow! He must eat feed on the fungus to reclaim his stolen shadown, but resists the compulsion with a great force of will. The fight is quickly over, with Aldern defeated. They cut his body up and toss it into the whirlpool. Dying, his form reverts to that of the ghoul, and his face turning back into a mask of stitched dired flesh. They take the gruesome mask. They also find a note implicating “the Brothers of Seven” and a “Xanesha”. They burn down the fungal growth, and leave. Aldern now dead, Iesha’s spirit passes on, and the revenant collaspes. They bury her body in the yard of the manorhouse. In damp foundations of Foxglove’s manorhouse, ancient construction leads to some caves, inhabited by the same undead. Listen, in the distance, is that them? And what’s beyond that cave mouth? Overview of the layout. Mixtures of the resin Caverns sets and the Chamber of Sorrows from DF’s KS 1. After dealing with the deadly denizens dwelling atop Thistletop, the heroes took a trip to Magnimar to purchase some equipment. There, they learn about a rash of murders – mostly of wealthy businessmen, that are wagging the tongues of the cityfolk. The theories of who is behind the killings range from underworld deals gone bad, to the followers of justice bringing home judgment on those who would trample on the poor. i. The heroes return to Sandpoint and meet with the leadership and tell them about Nualia, and how she was still alive and behind the goblin raids. 3. Titus said funds are low, especially with Glassworks down. 4. Group offered to hire workers in Magnimar to restart Glasswork operations. iv. Sheriff Hemlock requested them take Tsuto to Magnimar for trial when they go. 1. They secure him (borrowing broken chainmail and locked gauntlets from Savah). i. They meet Katrine and Shayliss again, as they buy manacles at the general store. iii. He is able to tell them that hair, fingernail, etc. can be used for scrying. ii. At the city, they deliver Tsuto to Ironbriar – a tall pale elf who is one of the city’s Justices. 1. They also are introduced to a Lady Xanen (human woman with a hint of a foreign accent) who is brought in as a prosecuting attorney. 2. They tell the pair about Tsuto’s crimes as well as their deeds in rooting out Nualia and protecting Sandpoint. They explain that as the prosecuting team, they need many details of what had happened. 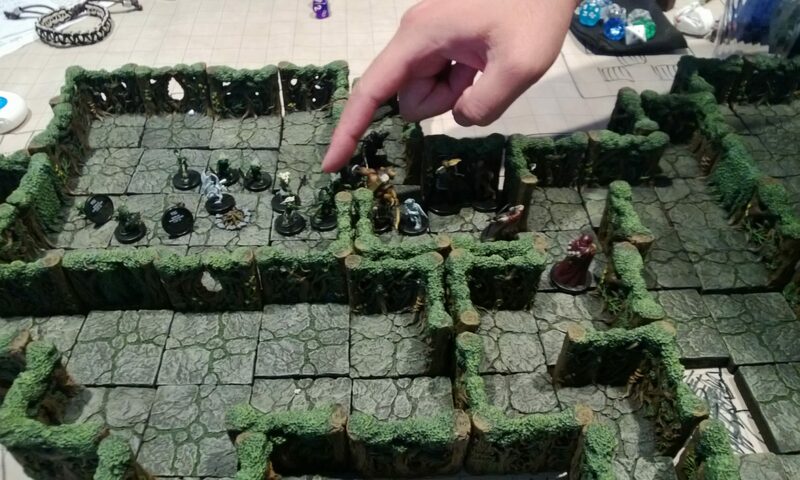 The heroes enthusiastically revel in their heroics – blissfully unaware that they are sharing all of their tactical details with the masterminds behind the next set of troubles. iii. After brainstorming with Justice Ironbriar and Lady Xanen, they spend some time in the city to purchase supplies and equipment. They also hear rumors about killings that have been taking place in the city. The opinions of the murders are diverse, as most of the dead are bankers and rich merchant. 1. Rumors abound of it being a cult of those freeing the oppressed? 2. Or vengeance from a spurned business man? 3. Possibly a monster in the Shadows? iv. Vaalmorn spends substantial money to purchase a pair of riding bats. The bats and his use of levitation become a primary mode of transportation for the group. ii. Upon their arrival back at Sandpoint, they are met by Sheriff Hemlock, who tells them about murders that have recently occurred in and around Sandpoint. The bodies of Harker, one of the Sawmill’s employees was found mutilated the day prior. With him, was the body of Katrine! 1. Hemlock also passes on a piece of parchment that was pinned to the sleeve of Harker’s shirt; it is addressed to Gragdar! Hemlock says that he has Ibor Thorn, the other miller who discovered the body in the holding cells; in addition, Katrine’s overprotective father – Ven Vinder was in another cell after flying into a rage upon hearing of his eldest daughter’s death. 2. Hemlock then tells them that there were three more mutilated bodies found at an abandoned outlying barn a few days prior. The three men were identified by a letter carried by one of the men; men well known to the Sherriff as notorious con men, swindlers, and local troublemakers. The bodies were found when a patrol along the Lost Coast Road was attacked by a lone sick and insane man who was frothing at the mouth and clothed in blood-caked garments. After easily subduing the man, the patrol discovered the bodies. 1. They examine the bodies of the 3 men from the barn kept in the basement of the Garrison. The bodies had all been horribly mutilated with what appear to be claw marks; prominently, each has the seven-pointed star carved on them and face and jaw removed. Hemlock said he wasn’t surprised that they had met their deaths as it was only a matter of time, but he tells them the method of mutilation was identical to Harker. They insane man found by the patrol – a local Varisian thug named Grayst Sevilla was taken to a sanatorium located half a day south of Sandpoint. 3. They interview Ven without getting much information from the grieving father and ask to speak to his family. a. Solsta and Shayliss are upset. b. They suspect Shayliss but don’t find anything amiss. 3. They also speak with a Maester Grump – a local farmer who had just come to Sandpoint with tale about walking scarecrows that were killing farmers! They get the location of the Hambley farm and promise to look into it, although Sheriff Hemlock worries that the moonshine on Grump’s breath is only dulling memories of a grim situation. iii. After meeting with the various individuals, the heroes make their way to the sawmill at the edge of Sandpoint. Keeping a small crowd at bay are a pair of guards. 1. They recognize one of the guards as Orik! The man who they let go from Thistletop! Vaelmorn is apoplectic! a. Orik says he was looking for a job after leaving and headed to the town. b. He said he had previously gone through Sandpoint and liked it, as well as the friendly people. 2. Inside they discover Harker and Katrine’s body. a. They immediately recognize the seven pointed star carved into Harker’s chest – the sihedron. He too was missing his lower jaw. Katrine however, appeared to have died by way of the sawmill’s saw. 3. They note the claw marks on Harker’s body as well as rotten flesh on an axe next to Katrine’s body. 1. On way to the Hambley farm where Maester Grump told them the walking scarecrows orginated, they group stops by the abandonded barn where the trio of bodies were found, but they don’t find anything of note. 2. Arriving at the Hambley farmstead, they begin making their way to the main house, when suddenly, one of the scarecrows leaps free of its bindings and attacks! They destroy it, but find it to be a ghoul dressed up in farmer’s clothing. 3. They retreat and return riding on the giant bats, acid splashing all the rest of the moving scarecrows in the field. 4. Landing on the one building, they see the ghouls inside. a. This leads to a fierce battle, but they eventually destroy the remaining ghouls – including ones that look like they were once female as well as children. b. On one of the ghouls, they find an iron key hanging on a leather cord around his neck; the key bears a heraldic symbol of a curious flower surrounded by thorns. Derik recognizes it as the Foxglove family crest, whose estate is located on the coast a few miles west of the farm. c. In addition, a body with the now-familiar mutilations lays in the farmhouse’s kitchen – even through the decay and the swarming flies, the sihedron is plainly visible carved into the chest, as well a scrap of parchment pinned to the tunic, and addressed to Gragdar.